A book can tell the story of your business. 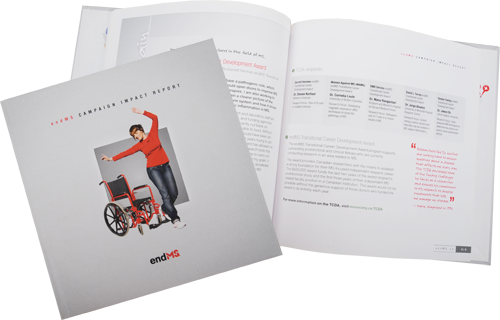 If your company’s core business is marketing/advertising consider a gorgeous coffee-table book of your agency’s best work, as a leave behind for prospective clients. If your company is reaching a milestone year you may consider a gift book with corporate history, photos, biographies, and/or case studies in celebration of the anniversary. Corporate publications are also produced for advertising and promotion, presenting new business proposals, fundraising, investor relations and client appreciation gifts. Whether you are a sole proprietor looking to promote your business one book at a time, a Fortune 500 company interested in producing thousands of manuals or a non-profit in need of materials to promote an upcoming event, ordering with us is always fast and easy. Use our simple book formatting templates to create all the perfectly designed files you need to publish your books: PDF for print and print-on-demand. Or, work along side our experts to design, print, and distribute a quality custom book. We utilize digital press technology to ensure the best quality, while maintaining your budget, and turnaround is always fast. Only print what you need.